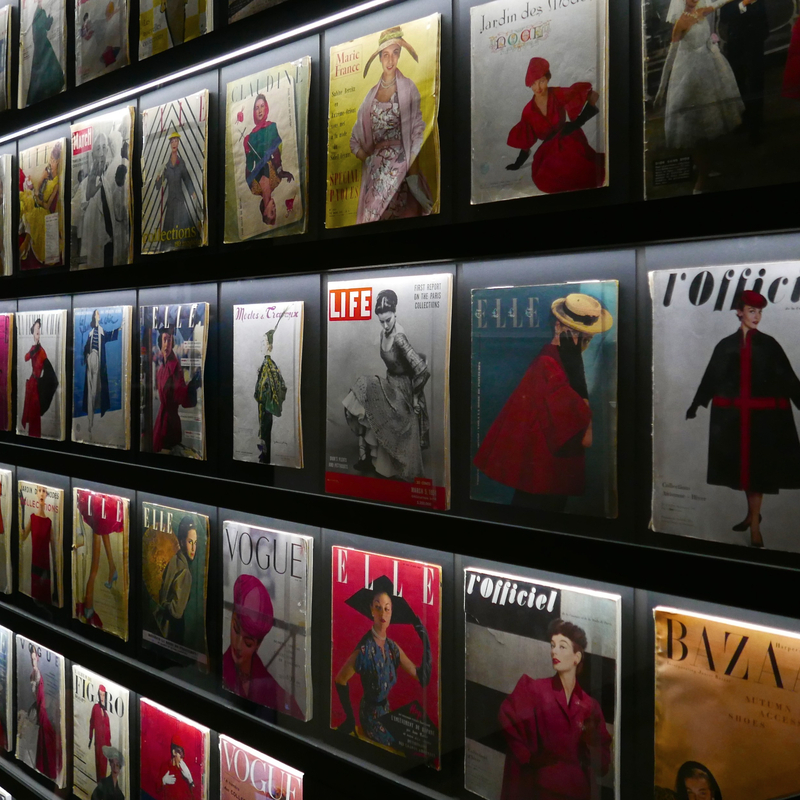 The Parisian Arts Décoratifs museum celebrated in 2107 the 70th anniversary of the creation of the house of Dior. This lavish and comprehensive exhibition invites visitors on a voyage of discovery through the universe of the house of Dior’s founder and the illustrious couturiers who succeeded him : Yves Saint Laurent, Marc Bohan, Gianfranco Ferré, John Galliano, Raf Simons and, most recently, Maria Grazia Chiuri. These works highlight and develop Christian Dior’s outlook by exploring the ties he forged between couture and all forms of art, defining the house of Dior’s enduring influence. Alongside the dresses is the most wide-ranging display to date of atelier toiles and fashion photographs, as well as hundreds of documents, including illustrations, sketches, documentary photographs, letters and notes and advertising documents, and fashion accessories, including hats, jewellery, bags, shoes and perfume bottles. Reflecting the fact that Christian Dior was also a knowledgeable art lover who adored museums, designs from over 70 years interact with a selection of paintings, furniture and objets d’art. The selection of over 300 haute-couture gowns designed between 1947 and the present day has a unifying thread of emotions, life stories, affinities, inspirations, creations and legacies.